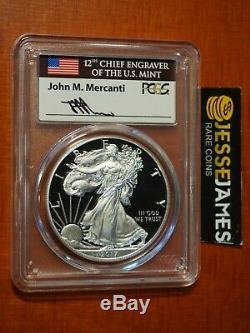 THIS LISTING IS FOR THE COIN AND LABEL LIKE SHOWN, MULTIPLES AVAILABLE SO SERIAL NUMBER WILL VARY. 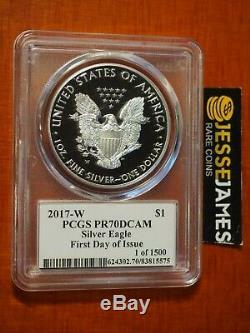 2017 W PROOF SILVER EAGLE PCGS PR70 DCAM. AUTHENTIC JOHN MERCANTI HAND SIGNED LABEL! FIRST DAY OF ISSUE 1 OF 1500 LABEL. The item "2017 W PROOF SILVER EAGLE PCGS PR70 DCAM FLAG MERCANTI FIRST DAY OF ISSUE FDI" is in sale since Thursday, March 30, 2017. This item is in the category "Coins & Paper Money\Bullion\Silver\Coins". The seller is "jesse_james_rare_coins" and is located in Hudson, Wisconsin. This item can be shipped to United States, Canada, United Kingdom, Denmark, Romania, Slovakia, Bulgaria, Czech republic, Finland, Hungary, Latvia, Lithuania, Malta, Estonia, Australia, Greece, Portugal, Cyprus, Slovenia, Japan, Sweden, South Korea, Indonesia, South africa, Belgium, France, Hong Kong, Ireland, Netherlands, Poland, Spain, Italy, Germany, Austria, Bahamas, New Zealand, Philippines, Singapore, Norway, Saudi arabia, United arab emirates, Bahrain, Croatia, Malaysia, Chile, Colombia, Costa rica, Dominican republic, Panama, Trinidad and tobago, Guatemala, El salvador, Honduras, Jamaica, Bangladesh, Bermuda, Brunei darussalam, Bolivia, Ecuador, Egypt, Gibraltar, Guadeloupe, Iceland, Jordan, Cayman islands, Sri lanka, Luxembourg, Macao, Oman, Peru, Paraguay, Reunion, Viet nam, Uruguay.